Welcome to Summit Animal Hospital! At Summit, we realize what a special role your pet plays in your family. We understand what it means to love a pet — whether they are young and active, or a little gray around the muzzle. Like you, our veterinarians want what's best for your pets and strive to provide excellent veterinary care compassionately. We look forward to meeting you and your pets and working together to give them the best life possible. 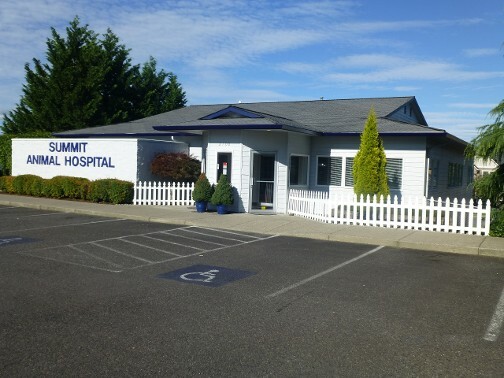 Founded in 1996, Summit is a full-service veterinary clinic located in the beautiful Northwest community of Camas, Washington. 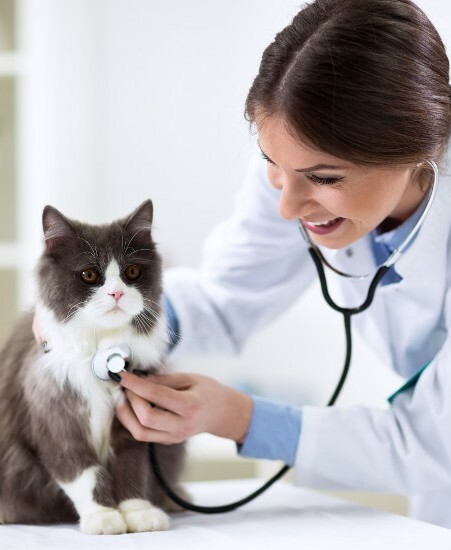 We offer a full range of veterinary services, from wellness and preventative care visits to comprehensive medical, surgical and dental care for our canine and feline patients. Our modern clinic was designed with comfort in mind, both for our clients and their pets. The spacious, light-filled reception area gives our patients and their owners a stress-free place to relax while waiting to see the doctor. Once a pet has been admitted, a broad spectrum of diagnostic and therapeutic options ensure that they receive the best care possible.